If you need advice feel free to ask - i know these cars very well! - more than enough to hold the panels firmly in place. [ i actually think they are all still there but there might be the odd missing one]. SMART FORFOUR W453 2017 TAILGATE TRIM MOULDING A4537930188 960323861R RIGHT. Smart 451 2007 onwards driver doorcard. Model: FORFOUR. Make: SMART. Part Type: DOOR PANEL/CARD (FRONT PASSENGER SIDE). Cambridgeshire ,SG7 5RT. Body Style Opening hours. Part Number In the event that a part is supplied and proven to be incorrect or faulty,EASY SCRAP must be notified within 48 hours. Model: FORFOUR. Make: SMART. Part Type: DOOR PANEL/CARD (FRONT PASSENGER SIDE). Body Style: 5 DOOR HATCHBACK. Opening hours. Part Number Cambridgeshire ,SG7 5RT. 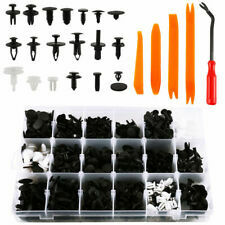 In the event that a part is supplied and proven to be incorrect or faulty,EASY SCRAP must be notified within 48 hours. NEARSIDE FRONT BARE DOOR CARD. REMOVED FROM A 2015 SMART FORFOUR WITH A 0.9 PETROL ENGINE WITH A 5 SPEED MANUAL GEARBOX. FINISHED IN BLACK & WHITE. ISLE OF MAN. ITEM IS IN GOOD WORKING ORDER. NORTHERN IRELAND. THIS PART IS FROM A 2016 SMART FORTWO W453 1.0 PETROL, AUTOMATIC GEARBOX. FITS:FORTWO / SMARTCAR 2014 -2017 Mk3 Front Right. Land Rover. OUR REF: REF 00000121. THIS IS A BARE DOOR CARD. Any item or invoice marked 'Sold as Seen' will invalidate this warranty. Model: FORFOUR. Make: SMART. Body Style: 5 DOOR HATCHBACK. Cambridgeshire ,SG7 5RT. Part Type: DOOR PANEL/CARD (FRONT PASSENGER SIDE). Opening hours. Part Number In the event that a part is supplied and proven to be incorrect or faulty,EASY SCRAP must be notified within 48 hours. Model: FORFOUR. Make: SMART. Part Type: DOOR PANEL/CARD (FRONT PASSENGER SIDE). Body Style: 5 DOOR HATCHBACK. Cambridgeshire ,SG7 5RT. Opening hours. Part Number In the event that a part is supplied and proven to be incorrect or faulty,EASY SCRAP must be notified within 48 hours. Model: FORFOUR. Make: SMART. Part Type: DOOR PANEL/CARD (FRONT DRIVER SIDE). Cambridgeshire ,SG7 5RT. Body Style Opening hours. Part Number In the event that a part is supplied and proven to be incorrect or faulty,EASY SCRAP must be notified within 48 hours. THIS SALE IS FOR THE NEARSIDE FRONT BARE DOOR CARD ONLY. 2005 SMART FORFOUR 454 1.1 PASSION. FITTED TO A 2005 SMART FORFOUR 454 PASSION WITH A 1.1 PETROL ENGINE WITH A 5 SPEED MANUAL GEARBOX. PASSENGER SIDE FRONT BARE DOOR CARD PANEL. THIS IS A BARE DOORCARD. THIS PART IS FROM A SMART FORTWO 600 CC 2000 2 DOOR COUPE JDS REF - 454. Land Rover. Any item or invoice marked 'Sold as Seen' will invalidate this warranty. Engines are sold complete less ancillaries and when replaced must be fitted with new timing belt, auxiliary belts, oil, filters and spark plugs. FORFOUR 2004 -2008 Mk1 Rear Left. Item Specifics:2004 - 2008 - MK1 - 4 DOOR - HATCHBACK - LEFT REAR - DOOR PANEL - A4547300170 - MN900155 - 15552001. Part:Door Panel. This Door Panel was removed from a2005 car and has been fully inspected. THIS PART IS FROM A 2005 SMART FORFOUR 454, 1.5 PETROL, 5 DOOR HATCHBACK, AUTOMATIC GEARBOX. FITS:FORFOUR 2004 -2008 Mk1 Rear Left. Land Rover. 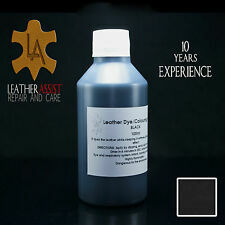 OUR REF: REF 00000962. Any item or invoice marked 'Sold as Seen' will invalidate this warranty. 89880978,A0079889978, 6Y0867260. Handles, Locks & Lock Cables. Need Assistance?. Mass Air Flow Sensors. We hope to hear from you soon! Safe & Secure. We have a friendly and knowledgeable team who are more than happy to help. Removed from a 2008 SMART FORTWO PULSE 71 AUTO 999cc. FOR YEARS: 2007, 2008, 2009, 2010, 2011, 2012, 2013, 2014, 2015 (2008). NORTHANTS VEHICLE RECYCLING CENTRE. Recycling Centre. We Do Not Cover Any Labour Costs Involved With Fitting Or Removal Of Any Parts. THIS PART IS FROM A 2016 SMART FORTWO / SMARTCAR 1.0 PETROL COUPE AUTOMATIC GEARBOX - REF 041. FITS:FORTWO / SMARTCAR 2014 -2017 Mk3 Front Left. Land Rover. OUR REF: REF 00000041. THIS IS A BARE DOOR CARD. THIS PART IS FROM A 2016 SMART FORTWO W453 1.0 PETROL, AUTOMATIC GEARBOX. FITS:FORTWO / SMARTCAR 2014 -2017 Mk3 Front Left. Land Rover. OUR REF: REF 00000121. THIS IS A BARE DOOR CARD. Any item or invoice marked 'Sold as Seen' will invalidate this warranty. 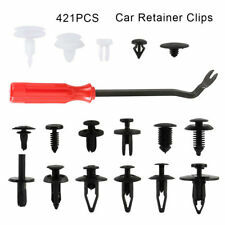 10 Plastic Car interior trim card clips 8mm Brand New. FORFOUR 2004 -2008 Mk1 Front Left. Item Specifics:2004 - 2008 - MK1 - 4 DOOR - HATCHBACK - LEFT FRONT - DOOR PANEL - A4547200170 - MN900105 - 15550001. Part:Door Panel. This Door Panel was removed from a2005 car and has been fully inspected. Product range: Inside front door Panel/vehicle. Engine code (located at point P5 of the booklet): 15. Being the parts used may have slight signs of wear and tear. PHONE 0429 88 88 32. A45473300170 LEFT REAR DOOR PANEL SMART FORFOUR < span class = notranslate ' > 1.1 B 55KW (2005) PARTS USED with FABRIC REMOVED FROM Panel (see picture). Year: 2005. Being the parts used may have slight signs of wear and tear. Removed from a 2008 SMART FORTWO PULSE 71 AUTO 999cc. FOR YEARS: 2007, 2008, 2009, 2010, 2011, 2012, 2013, 2014, 2015 (2008). NORTHANTS VEHICLE RECYCLING CENTRE. Recycling Centre. Warranties cover Parts Only and only apply if parts are fitted by a recognised independent specialist or approved dealer. A4547300070 RIGHT REAR INSIDE DOOR PANEL SMART FORFOUR < span class = notranslate ' > 1.3 B 5 p 5 m 70KW (2005) USED SPARES. Internal reference: 353/16MS S. Being the parts used may have slight signs of wear and tear. Being the parts used may have slight signs of wear and tear. Year: 2006. 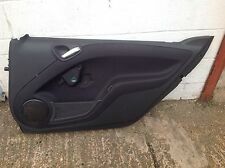 A4517200070 SMART COUPE RIGHT DOOR PANEL < span class = notranslate ' > 1.0 B SLIGHTLY USED SPARE CRAWLED. Product range: Interior vehicle rear door panel. Category veiocolo: Sedan 3 doors. IVA e CF 01468120298. LEFT FRONT DOOR PANEL A4547200170 SMART FORFOUR < span class = notranslate ' > 1.1 B 55KW (2005) USED SPARES. Year: 2005. Engine code (located at point P5 of the booklet): 134910. Being the parts used may have slight signs of wear and tear. LEFT FRONT DOOR PANEL A4547200170 SMART FORFOUR < span class = notranslate ' > 1.1 B 5 p 5 m 47KW (2006) PARTS USED. Engine code (located at point P5 of the booklet): 134910. Being the parts used may have slight signs of wear and tear. 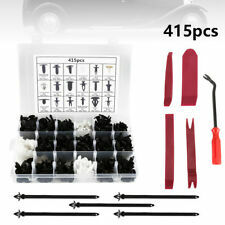 You are looking for 450 more smart parts, for the smart & 451er, so write us with the vehicle identification number. - Soft touch circuit installation. - Accident Repair. - Transmission Service. FRONT RIGHT DOOR PANEL A4547200070 SMART FORFOUR < span class = notranslate ' > 1.1 B 5 p 5 m 47KW (2006) PARTS USED. Year: 2006. Engine code (located at point P5 of the booklet): 134910. Being the parts used may have slight signs of wear and tear. A4547300070 RIGHT REAR DOOR PANEL SMART FORFOUR < span class = notranslate ' > 1.1 B 55KW (2005) USED SPARES. Year: 2005. Being the parts used may have slight signs of wear and tear. A4547300070 RIGHT REAR DOOR PANEL SMART FORFOUR < span class = notranslate ' > 1.1 B 5 p 5 m 47KW (2006) PARTS USED. Being the parts used may have slight signs of wear and tear. Year: 2006. THIS SALE IS FOR THE OFFSIDE REAR BARE DOOR CARD ONLY. 2005 SMART FORFOUR 454 1.1 PASSION. FITTED TO A 2005 SMART FORFOUR 454 PASSION WITH A 1.1 PETROL ENGINE WITH A 5 SPEED MANUAL GEARBOX. DRIVERS SIDE REAR BARE DOOR CARD PANEL. THIS SALE IS FOR THE NEARSIDE REAR BARE DOOR CARD ONLY. 2005 SMART FORFOUR 454 1.1 PASSION. FITTED TO A 2005 SMART FORFOUR 454 PASSION WITH A 1.1 PETROL ENGINE WITH A 5 SPEED MANUAL GEARBOX. PASSENGER SIDE REAR BARE DOOR CARD PANEL. OFFSIDE FRONT BARE DOOR CARD PANEL. THIS SALE IS FOR THE OFFSIDE FRONT BARE DOOR CARD ONLY. 2005 SMART FORFOUR 454 1.1 PASSION. FITTED TO A 2005 SMART FORFOUR 454 PASSION WITH A 1.1 PETROL ENGINE WITH A 5 SPEED MANUAL GEARBOX.